Tomorrow we start back on SUYL. Tomorrow we are starting off with SOUPS!!! Since almost all of us have been snowed in at some point this winter - we need more soup recipes!!! So bring your best to the table!!! 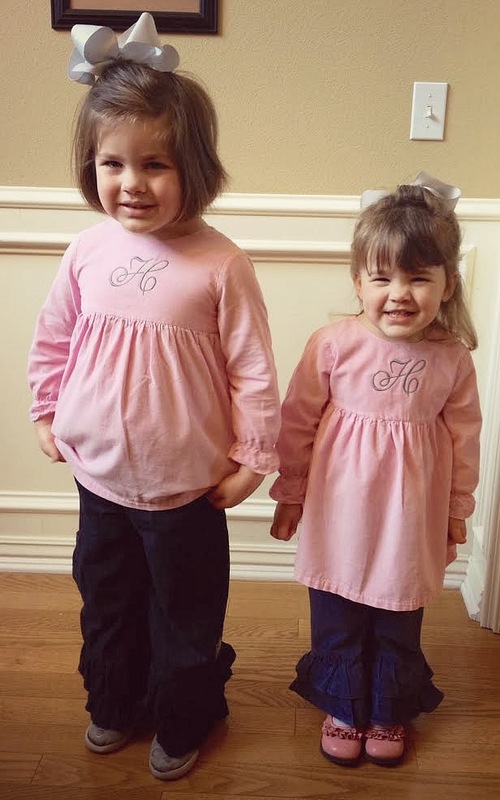 Harper had her Valentines party yesterday and Hollis has hers tomorrow. They are so excited about Valentines! I have never loved the holiday much but I have to admit - it's fun with kids! I've seen this idea a million times so I finally had to do it. And it was so easy. I just edited their picture in picmonkey.com and then had Walmart print them. 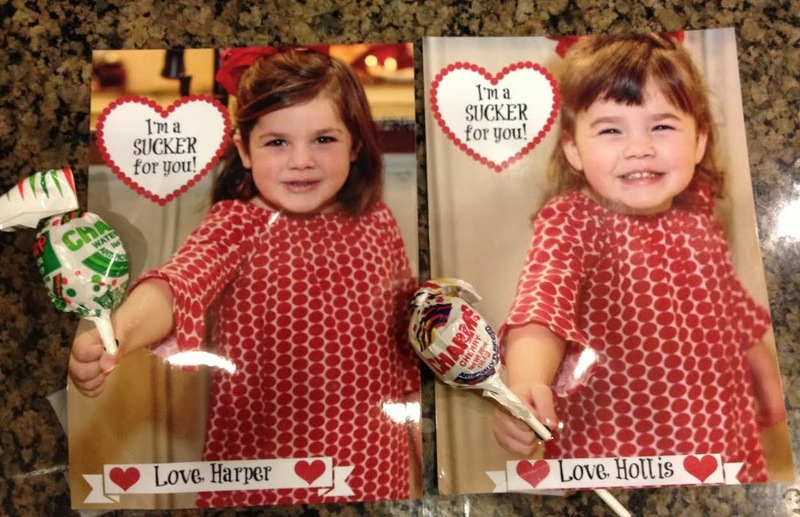 Harper came home with lots of cute Valentines. She loved just the simple store bought ones the most. Which I admit - I love those too. 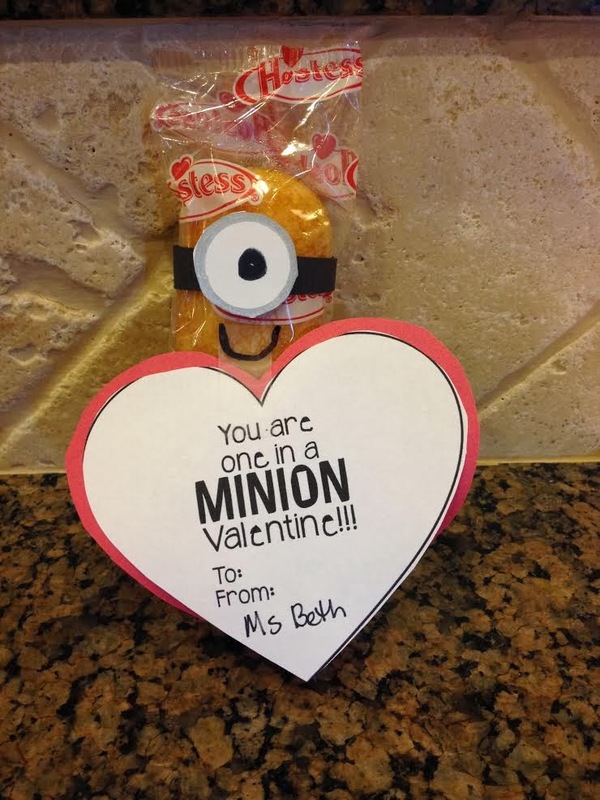 But her teacher made this - isn't it adorable? So fun! Last night the girls and I were at church for AWANA and Scott called me. I was like "um, I'm kind of busy herding children" and he was at Walmart and wanted to buy the girls a Valentine gift. (which you just have to know him - I thought that was the sweetest thing. I always buy all gifts so I was proud of him.) But I got tickled because he said "What princess dresses do they have? Or how about a My Little Pony. I know they have Rainbow dash - how about Fluttershy?" I couldn't quit smiling because Scott is such a guy's guy. He loves football and hunting. I'm sure he never dreamed one day he would know all the princess and my little pony names. My girls have him wrapped around their little fingers. We don't really do gifts for each other. We did when we dated but pretty much stopped after we got married. We would rather just go on a trip or get something later when we need it. Gifts aren't a huge deal for us. We don't even do Christmas or birthday gifts. Gifts just aren't our love language. I told Scott the best Valentine gift to me would be if he kept the girls on Saturday so I could do a few things. That's romance to me. Romance is him unloading the dishwasher. Better than two dozen roses! I found Harper in our bed reading this last night. 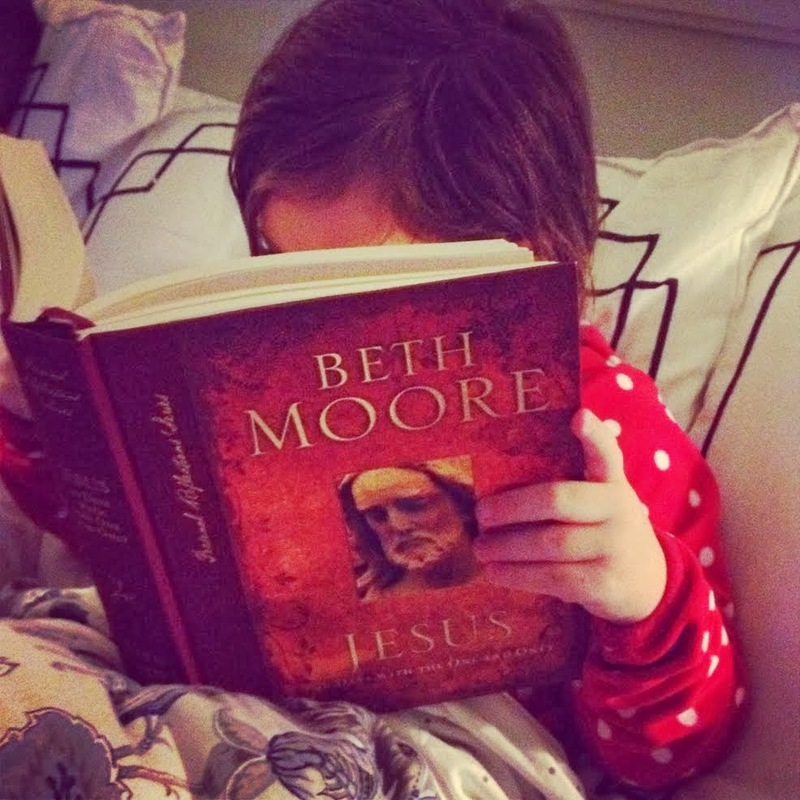 She skipped right past the little readers and went straight on to Beth Moore. She knows what is worth reading! Happy Valentines to all of you. Whether you have a Valentine or not - you are loved by the DESIGNER OF LOVE! !